Varanasi Taxi Cabs is the best car rental & cab service in Varanasi. We offer cheap car rental with a wide range of luxury cabs & taxi in Varanasi, India. 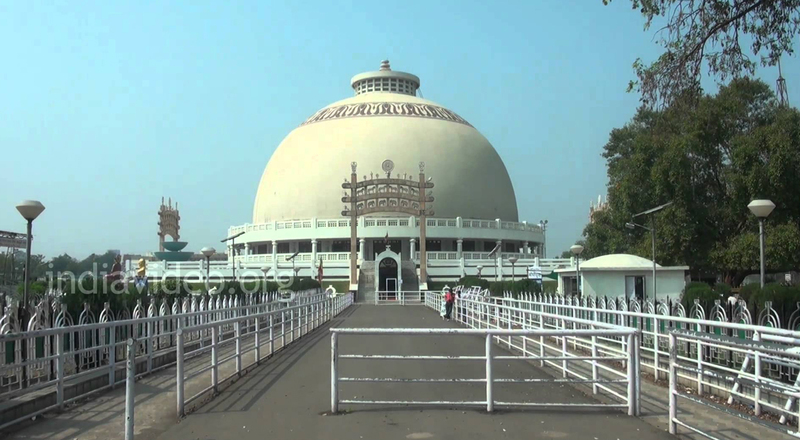 Explore the Best of Sarnath! Online booking car in Varanasi can be very easy as it has one-click booking process. If you want to hire a taxi for an airport or taxi in Varanasi for a day out with your friends or family or if you are searching for a travel agency in Varanasi for cheap car rentals then you will always find Varanasi Taxi Cab for reliable and safe services. If you are planning for Varanasi Tour Packages then Varanasi Taxi Cab is the best option for you to hire any car of your choice or if you are going with a group of 20-25 people then we have minibus and tempo travel for you. Now let's see how you can plan a journey with Varanasi Tour Packages. Located at a distance of 8 km from the city of Varanasi in Uttar Pradesh; Sarnath is such a beautiful place to explore. For this, we will pick you from your hotel or resident with our taxi services in Varanasi and drive further to visit Sarnath. Sarnath marks the place where Buddha preached his first message after receiving knowledge in Bodhgaya. 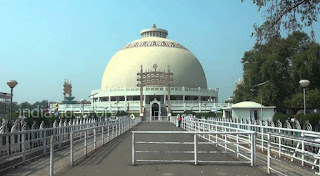 The Dhama Stupa - The great Maurya king Ashoka built in 249 BCE, claims that the Stupa itself claims a distinctive architectural pattern and after that, he built Dhamek Stupa Sarnath. The Archaeological Museum - The Archaeological Museum displays some of the finest embodiments of Buddhist art. 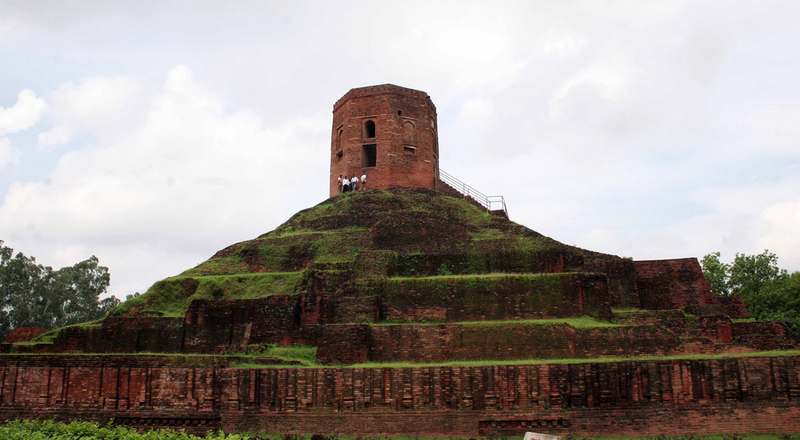 A city which shows the most widespread ruins among Buddhist sites. 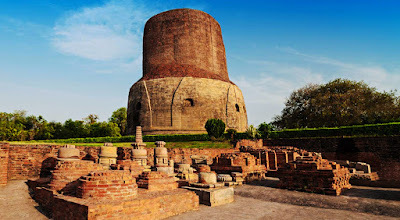 Sarnath claims a rich and interesting history with 528 BC. It is here at the Deer Park in Sarnath that the Buddha preached his first discourse after he attained enlightenment at Bodh Gaya. Deer Park or Isipatana - A lovely place to stroll in or meditate. Once as Bodhisatta was leading the herd of a deer, the local king started the indiscriminate loot of the herd. After a lot of discussions, there was an agreement between the two, according to which the deer will be offered one by one, but only when necessary. In the end, there was a turn of a doo which was giving birth soon, and as long as her child was not born, she wished to delay her turn. Bodhisattva offered himself to King instead of Dow. The King became so motivated by this selfless act that he vowed not only to kill any deer in the future but also gift the park to the deer so that he could always roam in the park. Thus the history of Deer Park or Ispat Saranath goes. There is lotus pool and a sacred bow tree in Deer Park or Ispat Saranath. The Jain temple in Sarnath - It was built in 1824 in the state of Uttar Pradesh and it is said that the 11th Jain Tirthankara Shreyanshnath took birth in this place. Inside the temple, there are beautiful graffiti, which reflect the life of Mahavira, founder of today's Jain religion. Mulagandha Kuti Vihar - It is well known for its magnificent murals and frescos.This temple is also standing with its distinctive architecture which is nowhere near the style after Buddhist architecture. In India, Mulagandha Kuti Vihar was built by Maha Bodhi Society in 1931. The graffiti on the walls of this monastery was made by the famous Kosetsoon Nosu, who is Japan's most prominent painter. Frescoes is rich in Buddhist literature in Mulagandha Kuti Vihar Sarnath. Fresco shows the scenes of stories from Buddha's life and Jataka; Accounts of Buddha's disciples, miracles performed by Lord Buddha and so on. After a whirl around in Sarnath, our efficient drivers will bring you safe access to your residence/hotel. There are many providers, many different prices and many different positions but Varanasi Taxi Cab is one of the best Car Rental Services in Varanasi that offers cabs and buses for Rentals in Varanasi & beyond. Varanasi Taxi Cab offers a wide range of Luxury and Economy cabs and buses at best rate and boasts a fleet of well-groomed chauffeurs and a variety of cars. Our Taxi Services include – Cabs for Inter-city Travel, Outstation Journey and Cabs for Airport Pick and Drop. If you are searching car rental in Varanasi or taxi in Varanasi then Varanasi taxi cab is the best option for you because our company is the cheap car rentals in Varanasi. Our motive is to provide most attractive, regular and luxury cars in Varanasi at a reasonable price. Indeed, our luxury and practical cars are the cheap car rentals in Varanasi. So take an opportunity to choose from a diverse list of luxury cars as well regular car available with us, that includes Tata Indigo, Swift Dzire, Innova, Tempo Traveler, Ertiga& Honda City. Each car rental company has its own status. We give rent cars on 100% price we show and do not charge any hidden price If you are in need of a rental car in Varanasi in just a few easy steps then all you need to do is click on the Internet and your favorite car will be in your place. We make renting a car as simple, enjoyable and profitable as possible, Make sure you check all the conditions before renting the car you want and book your favorite one. So, get in touch with us and enjoy a luxurious ride in Varanasi Inter-city Travel, Outstation Journey and Cabs for Airport Pick and Drop Based on your budget. Varanasi Taxi Cab. Simple theme. Powered by Blogger.